Our law firm has been helping people since the 1970's, bringing our knowledge and experience to a wide range of juvenile and adult matters. As a two-attorney law firm, we are able to spend the time necessary to get to know our clients and understand their situations fully. We develop the best legal strategies for their specific circumstances. We know that there is an enormous amount of stress on people and their families when they are involved in the legal system. At McGlinn & McGlinn we are more than legal counselors, we help clients get the resolution or treatment they need that allows them to move forward with their lives. Our founding lawyer, Michael D. McGlinn, has been a prosecutor, judge pro tem, and a law school professor. McGlinn & McGlinn practices law in San Diego, California. Please contact our San Diego law firm with questions about your legal issue. Provide as much information as possible regarding your inquiry. While this contact does not serve to establish an attorney/client relationship, it will allow our attorneys to begin an assessment of your case. San Diego County Bar Association (Chairman: Juvenile Court Committee, 1979; Mental Health Law Committee, 1980; Criminal Law Section, 1983); California Attorneys for Criminal Justice; Criminal Defense Lawyers Club of San Diego (President, 1983); Criminal Defense Bar Association (Board Member). Michael D. McGlinn has been awarded the highest rating for legal ability in the Martindale-Hubbell International Law Directory, the highest rating awarded to attorneys and one shared by fewer than 7% of all law firms in the United States. Michael is a graduate of Georgetown University, School of Foreign Service, and the University of California Hastings College of Law. 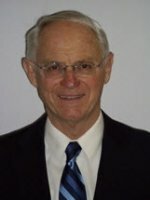 He has been an attorney since January 1970. He is a former Deputy District Attorney for the County of San Bernardino and has been a defense attorney in San Diego since 1973. Michael previously served as a Judge Pro-Tem for the San Diego County Juvenile Court and was a Chairperson of the Juvenile Law Section and Criminal Law Sections of the San Diego County Bar. He was the Chairperson of the Mental Health Committee of the San Diego County Bar. He is a past President of the San Diego Criminal Defense Lawyers Club. He was an Adjunct Professor of Juvenile Delinquency Law at Thomas Jefferson School of Law.